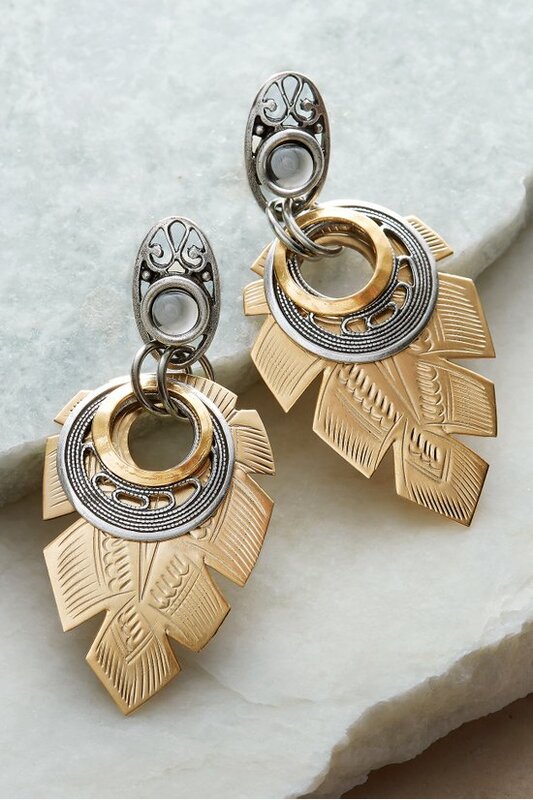 Lightweight but loaded with fashion panache, these marvelous earrings are created with three overlapping multi-tonal discs of handcrafted metals from Thailand. The distinctive palm leaf design reflects a Far East influence as it elevates your look in a fresh, modern way. Pair them with our Jagged Leaf Necklace for optimal fashion effect.